Restoring land to a more native condition can produce biofuels and deliver many other benefits. Restoring wildlife habitats from Biomass crops that are similar to native ecosystems. Naturally creates sustainable energy using organic inputs that are often considered waste. "The technology we’ve developed is ready to be deployed commercially in a project that makes both economic sense and environmental sense. This is not just about converting the manure from almost two million pigs into renewable energy. It’s about taking environmental sustainability to a new level." 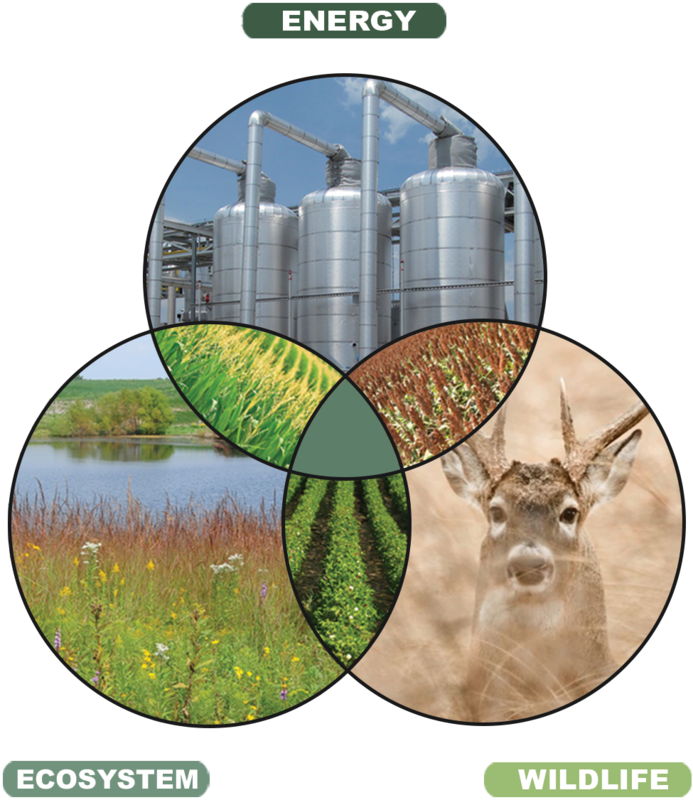 Through the harvesting of diverse prairie biomass for bioenergy applications, farmers and landowners see the economic benefits of biomass production as well as the savings earned through efficient use of the land's water, nitrogen, and energy resources. Respecting America's natural grasslands can be as rewarding economically as it is spiritually when you are able to find the right balance of ecological benefits achieved from working with the land as opposed to around it. By restoring native prairies around marginal land, the grasses are able to reduce irrigation, erosion, reservoir sedimentation, and chemical and fertilizer runoff all while increasing carbon sequestration. 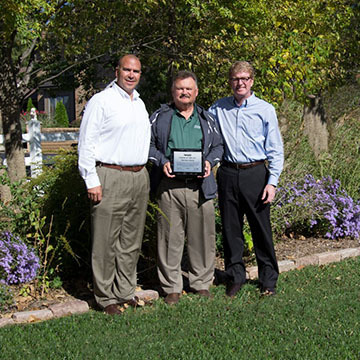 Roeslein Alternative Energy is working to restore and convert 30 million acres of marginal land to native prairie grasses in just 30 years. 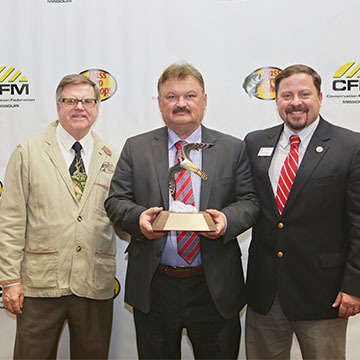 This vision benefits farmers economically and positively impacts surrounding ecosystems by creating homes for various types of wildlife while providing ongoing food and water resources for the animal and bird population. 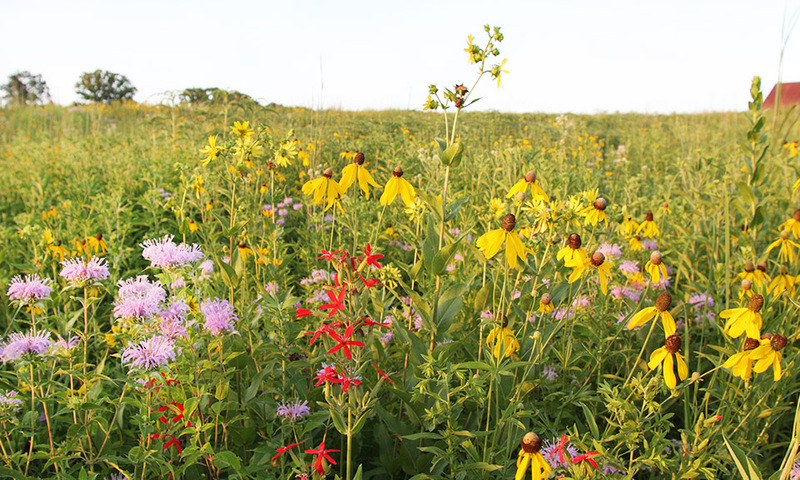 The restored prairies provide nectar that supports insects to benefit insect-pollinated food crops in nearby fields. Seasonal harvesting of the restored grasses allows for their use as a valuable biomass feedstock while encouraging new growth to maintain biodiversity. 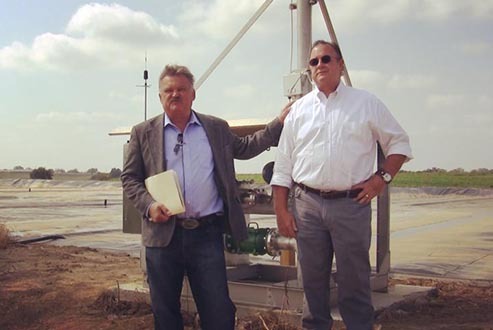 Roeslein Alternative Energy works to help farmers maximize profitability by converting agricultural waste into a valuable resource. Through anaerobic digestion, harvested feedstock and organic waste is broken down into methane and used to produce a pipeline quality Renewable Natural Gas providing a valuable energy resource for land and farm owners. RAE works to shift agriculture from of a source of degradation to a driver of restoration in soil health while rebuilding ecosystems and bringing in additional revenue to farming families. With RAE's leading technology, 850,000 tons of CO2 methane will be prevented from reaching the atmosphere which is equivalent to filling 56,000 big rig trucks with a full tank of diesel fuel per year. Roeslein Alternative Energy started working with formerly known Premium Standard Farms, now known as Smithfield Hog Production, to restore their hog farms and their reputation; this would be a $100 million renewable biogas project. The project centered on developing, installing and operating processing facilities in order to produce pipeline quality renewable natural gas. 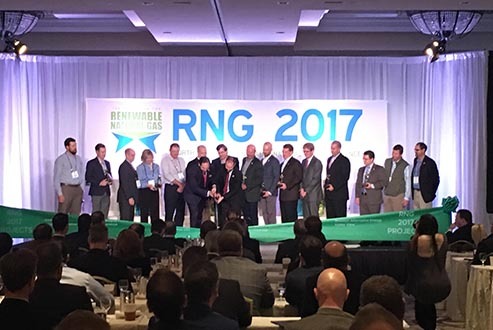 The Coalition for Renewable Natural Gas recognized Roeslein Alternative Energy for their developmental role in renewable natural gas-to-transportation fuel at its Ribbon Cutting Ceremony. 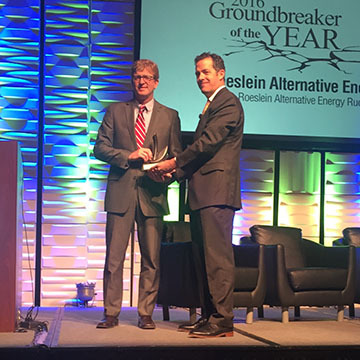 Rudi Roeslein, President of Roeslein Alternative Energy and CEO of Roeslein & Associates, accepted the award on behalf of his team. It is with heavy hearts that we remember and recognize Bill T. Crawford – if it were not for Bill, and the men and women who worked tirelessly and often at great adversity alongside him, we would not be enjoying the wildlife heritage we have. They provided a model for the rest of our country that is still the best practice to be followed and improved upon. 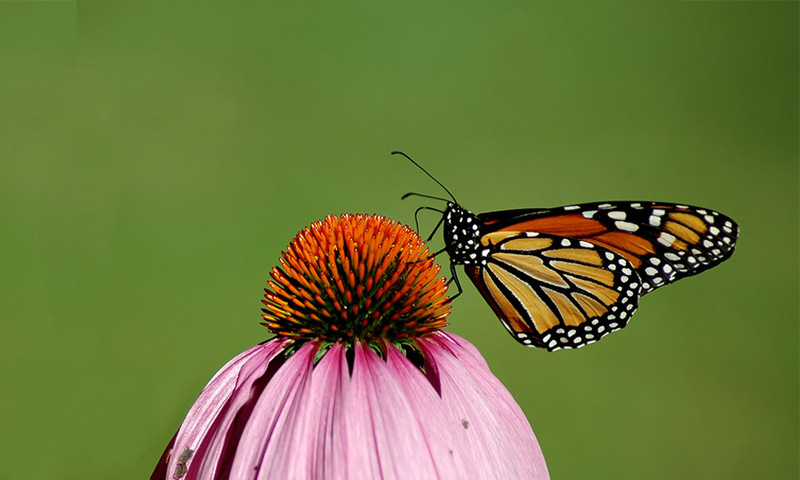 In the last two decades, the Monarch butterflies population has decreased. They are just one of the many species that benefit from RAE’s 30/30 vision. 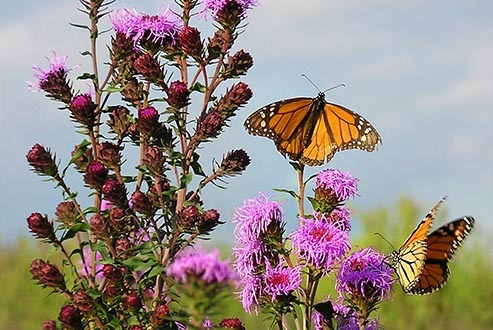 This vision benefits farmers economically and positively impacts surrounding ecosystems by creating homes for various types of wildlife, providing erosion control, and preventing flooding.